We’re big into movies here at the SF office — dramas, comedies, indies, we love them all. When we want an opinion on a new film, we know Senior Editor Shari’s the one to ask because she’s probably seen it. Our SVP Betsy can pretty much name any actor starring in any movie ever made. And we can always count on Online Marketing Manager Raul to pass around a list of nominees for our Oscar predictions come award season. With all of our movie-watching experience, we’ve noticed something — some of our favorite hotel and resort spas have premiered on the big screen as well. So we movie buffs decided to roll out the red carpet, spa-style, and share with you a list of the Top 10 Spas in TV and Film. These scene stealers are just some of the hundreds (maybe thousands!) of the hotel and resort spas that have been cast in TV and film. 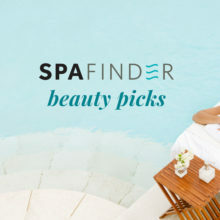 Their stylish spas also get two thumbs up from us! Industry execs, take notice — in these movies, the hotel and resort spas are the stars.